Snakeskin covers the Mamba's original shoe. 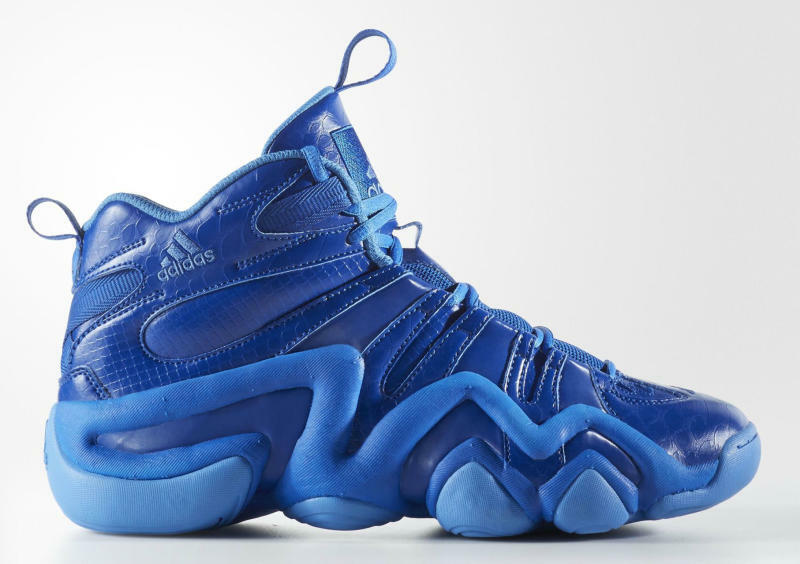 As summer hoops shifts towards Rio, adidas Basketball unleashes the Crazy 8 in a new three-pack for patriots. 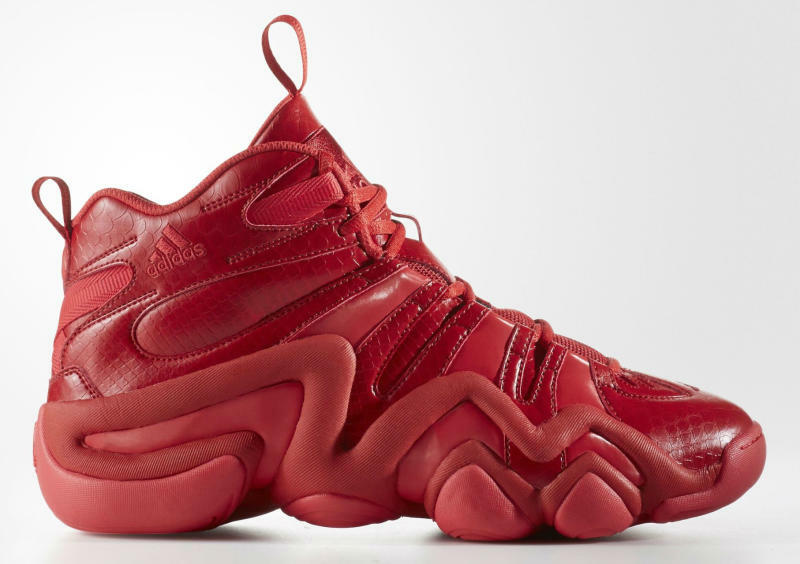 The lineup consists of monochrome red, white and blue styles, each constructed with tonal faux snakeskin leather — possibly a nod to the shoe's original endorser. 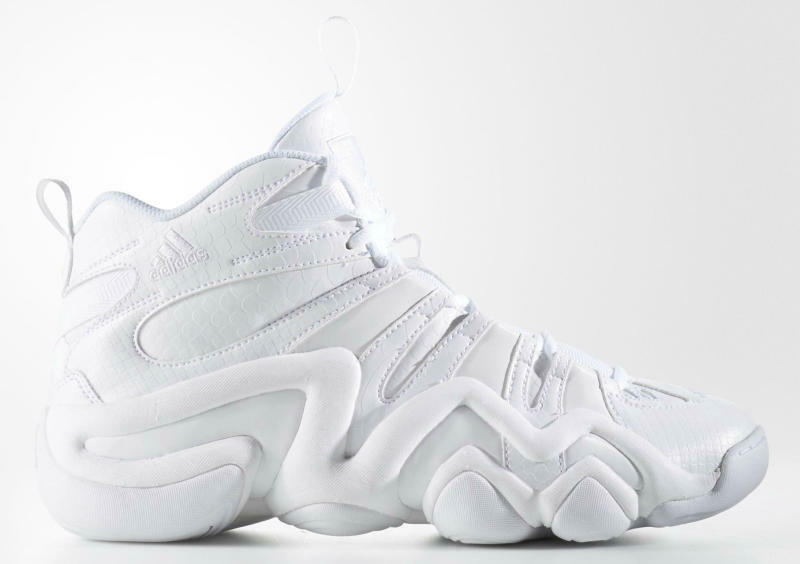 While adidas.com hasn't officially launched this pack, all pairs are available now for $110 each at Finish Line.